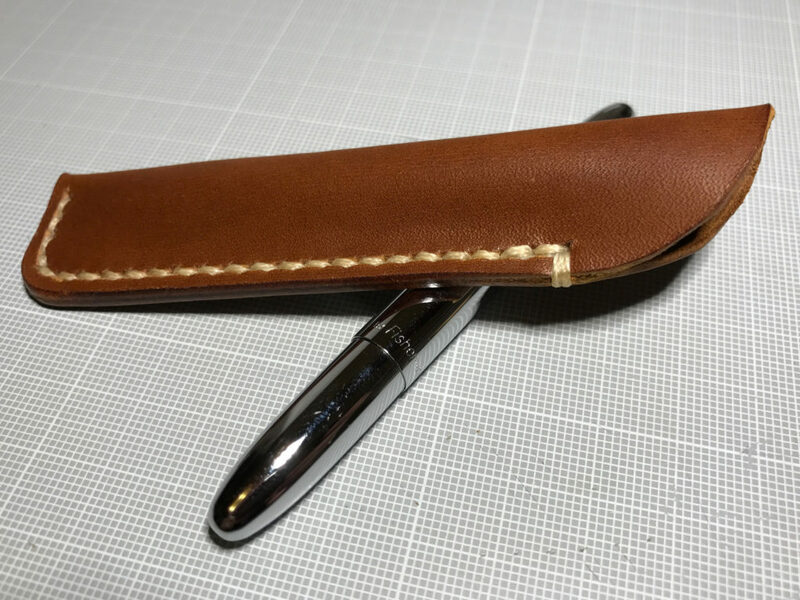 This sleeve for a Fisher Space Pen Bullet is the first real leather item I have crafted and I’m very happy with the result! I had to go through two prototypes before I found the right size for it. The first to were too tight so it was very difficult to remove the pen. But it was good training in cutting, punching stitching holes and doing the stitching. The prototypes were made from scrap leather from an old backpack. The final sleeve however is made from a very nice piece of leather sent to me by Laederiet in Denmark. Unfortunately I don’t know what type of leather it is. 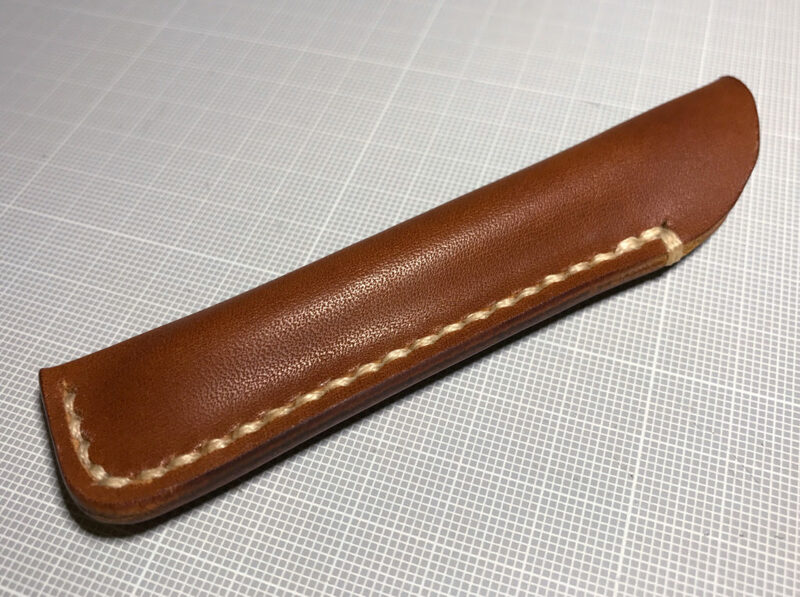 There are a few details I have to do better with my next project, like doing the burnishing before doing the stitching. I now had to skip a spot just were the stitching goes around the edge. But all in all pretty good for a first project, don’t you think?